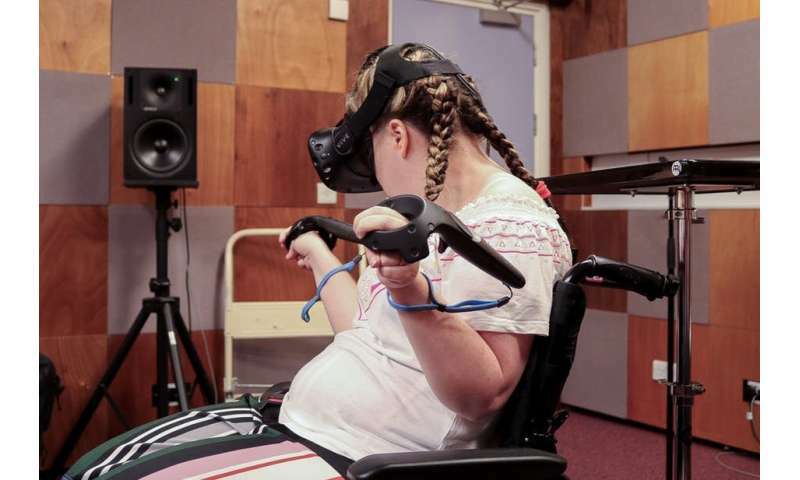 Current VR technology is designed for the able bodied, but more importantly it often allows only for passive interactions – listening to music performances, such as Elton John's 360 concert, for example, or "riding" a rollercoaster. We were more interested in how disabled musicians can use VR technologies in an active and performative way. 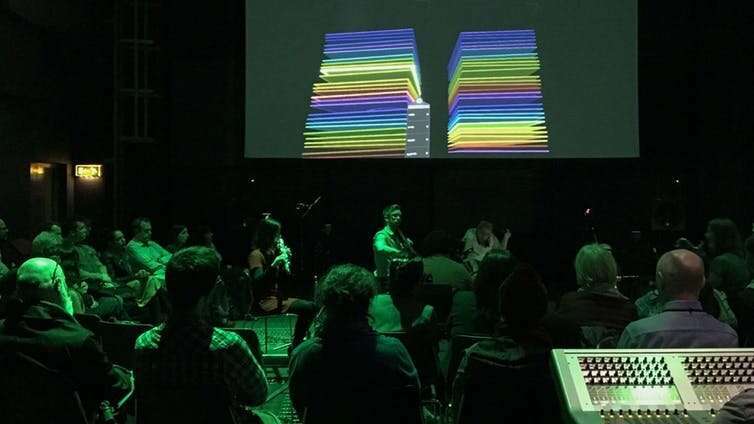 Our research team consists of a diverse group, including electronic engineers, computer scientists, sonic arts researchers, immersive content designers, a soloist ensemble and a local group that helps disabled musicians perform and compose their own music independently. Together with these musicians, we teamed up with a US software developer, who was designing a VR musical instrument called the "Infinite Instrument", running on a 360° VR headset called HTC VIVE. VR experiences are so concentrated on the visual experience that often they disregard the inherently immersive nature of sound, but it's all around us, a proper 360° experience. Clearly, a visual headset was not relevant or helpful to this blind musician. We needed to focus on how we could use the other immersive qualities of a space for a music performance. Our team is based at the Sonic LAB in Queen's, an immersive and fully customisable 3-D sound space – often referred to as the iMAX for the ears – we decided to adapt the VIVE technology to this existing context. For our clarinettist we focused on the VIVE controllers, as they are more tactile than visual. They can also track physical positions in a space, which meant the clarinettist was able to position sounds in the 3-D Sonic LAB by having the VIVE controller strapped to his instrument.